4.3 out of 5 based on 259 user ratings. The raspberry is the edible fruit of a multitude of plant species in the genus Rubus of the rose family. They are petite, roughly oval, plump and vary in flavor from sweet-tart to low acid depending on growing region and coloring. The hollow core is created when the raspberry is separated from its growing receptacle. Raspberries are most often utilized in sweet applications, they are used as a principle ingredient in fruit salads, jams, ice creams and gelatos. Best of the mix when it combine with cocoa, exotic fruits, raisins, creamy and bloomy rind cheeses, honey, peaches, coconut, cinnamon, blueberries, cardamom and lavender. 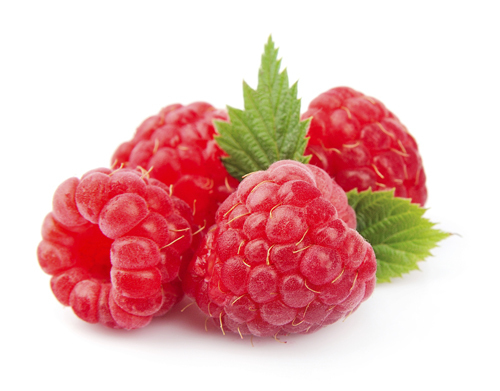 Raspberries is rich in vitamins, antioxidants and fiber, raspberries are a delicious fruit with many health benefits. Raspberries have a high concentration of ellagic acid, a phenolic compound that prevents cancer, thereby stopping the growth of cancer cells and eliminating the progress of some cancers.